I know it's not technically fall but it is my favorite season so excuse me while I prepare. Fall is one of my favorite times of the year. There is so much that I always want to do but never get around to. Since I am a visual person I thought it would be fun to create a bucket list of things Erik and I want to do this fall. 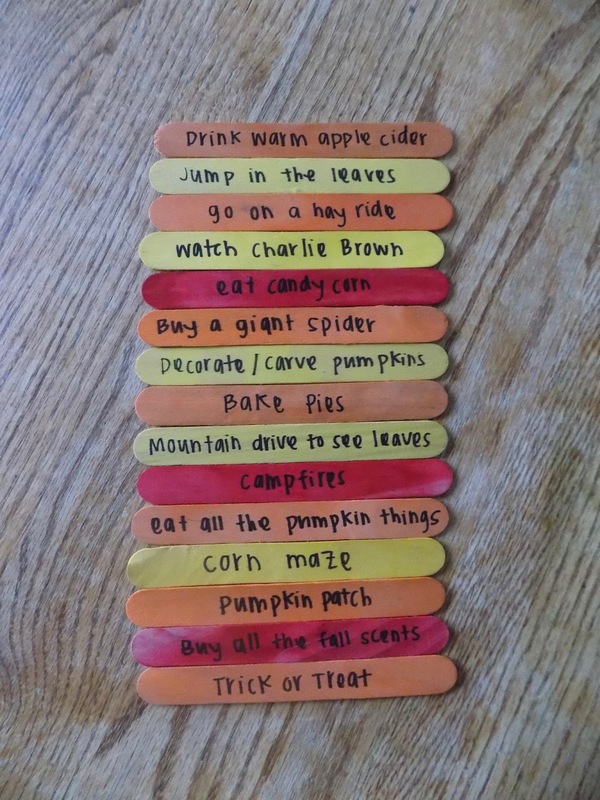 I found some colorful popsicle sticks I had around the house and we each took turns saying things we would like to do and writing them down. 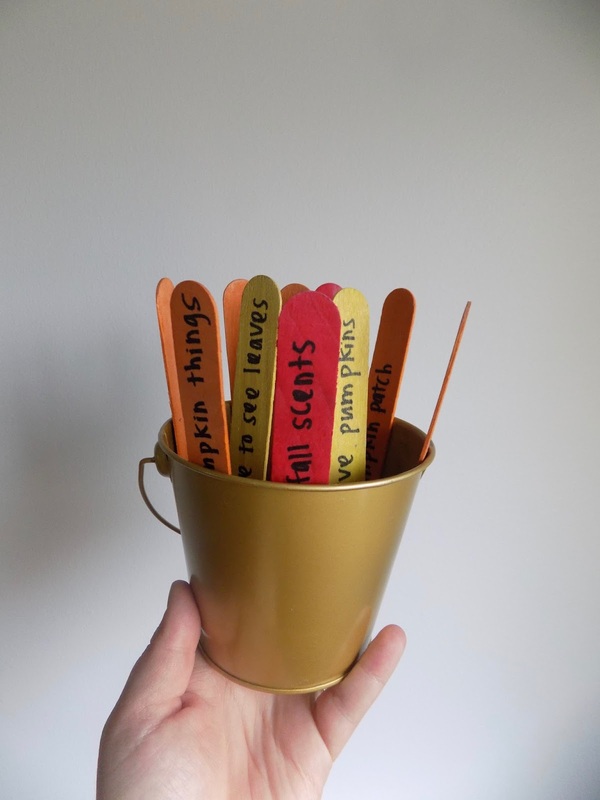 After we wrote our items I found a gold bucket I had from the Target Dollar Section. We added in some rocks and stuck our popsicles in. I thought the bucket was a good idea for our "bucket" list but you can use a cup, mason jar whatever you have around. We have it in the kitchen so we see it often and whenever we need something to do we can take a popsicle stick and go! What is on your fall bucket list?